Yahoo Mail & Windows 10 - When pigs fly. Whilst futzing around on the interwebs today, I accidentally discovered that quite quietly, Yahoo Mail has re-activated FREE POP3 service! Who would have thunk it? I have re-incorporated Yahoo Mail into my Microsoft Outlook after nearly TEN YEARS of renewing my "out of office"/"vacation response" every six months on Yahoo to indicate just why I don't like nor no longer use Yahoo e-mail! I'm still running the two side-by-side and trying to determine exactly what logging on via my Microsoft Account does in respect to synchronising the two up. Speaking of synchronising, I also started using Firefox's Sync so I can have all my bookmarks aligned on all of my systems. I would really have to say is that when it comes down to it, a computer's operating system is becoming less and less important as most of the things you do are online and in the 'cloud' these days. Firefox on a PC or Unix looks and functions like Firefox on a MacBook or Android tablet! On a similar note, did you happen to tell Windows 10 it's okay to spy on you? This article on LinkedIn tells a tale of woe about the latest (and apparently last version) of Microsoft's Operating System, Windows. It's worth the read! I'm glad that you found Win 10 useful. I've tried upgrading twice, and twice I've had to return to Windows 7 Professional. Problem is that the screen freezes at inconvenient moments. Windoze support is not very useful--the one person who was willing to help couldn't help in the end. I've upgraded my graphics driver and may try again. But I'm not optimistic. As I have a homebrew computer (I thought I'd sworn off those but here I am with one again) I don't expect much joy. If your system is older, it might not have the minimum requirements needed for Windows 10 -- or, even worse, it might have just enough to make it run slow and clunky. My computer, although a homebrew, is of very recent vintage and Windows 10's compatibility advisor thinks that it's quite ready for Windows 10. The Belarc Advisor's analysis of my system is here. It does install, and does work, for a while. Unpredictably, however, it freezes. This indicates to my (retired) software testing professional's mind that there is a problem with the graphics driver. I have updated the Windows 7 one, and gotten the Intel driver updater app. If I install again, I shall make sure that the first thing I do is ensure that the correct Windows 10 driver is installed (there is one for Intel graphics--I've checked). If that doesn't alleviate the problem, I shall uninstall Windows 10 again and wait for a few months to see whether Microsoft's "rolling updates" have cured the problem. Thanks for your offer; probably no need for you to encumber yourself with an old laptop unless you think it would help. It sounds as though you have things well in hand. No offense taken. I often have to do Level 1 Support for friends and acquaintances. HWMBO often needs such support, and I spent an hour with one of my neighbours trying to recover his iPad after he forgot his passkey. Couldn't do it as he never connected it to his laptop. Bugs follow me around, too. I applied for my 5-year Freedom Pass (us Senior Citizens get free bus transport nationwide and free transport within London) online and found that it wouldn't take my address (even though it knew it). I sent a question to the company (outsourcers, naturally) that ran the website and database and got the answer back that I'd found a bug that affected every item in the database, and that I should apply by post. I didn't realize Windows 10 was going to be the "last version" of Windows. What happens when it gets to the age where every earlier version has been end-of-lifed? Everything goes to the cloud and we all join the collective? I don't know about you, but I intend to resist even if Microsoft DOES say it's futile. 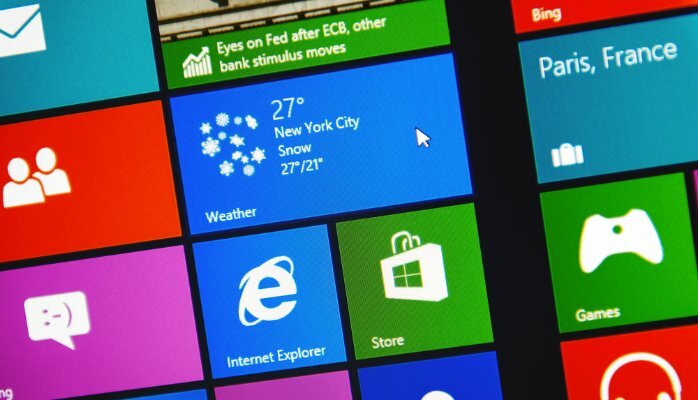 Microsoft’s developer evangelist, Jerry Nixon, has dropped what many are claiming to be a bombshell about Windows 10 – the fact it will be the last version of the OS. The Verge recently cited Nixon as making this claim at Microsoft’s Ignite conference. However, the reality isn’t likely to please OSX fans and Windows haters. In fact, Windows is merely morphing into a new model – one that starts with Windows 10 and the fact it will be made freely available to most current users. Resist away -- I'll be there by your side on SOME of my PCs.